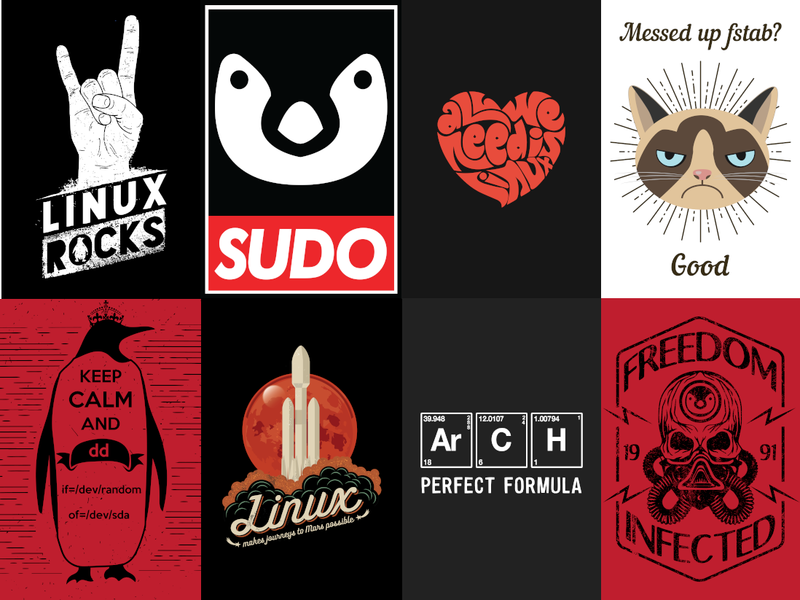 If you need some Linux-related images to use on custom t-shirts or hoodies, stickers, or as posters, you may want to check out the linux.pictures website. The website includes more than 100 awesome images (many more if you include picture variations) with Linux-related themes which can be used for free for any noncommercial purpose. The high resolution Linux-related pictures can be downloaded from a GitLab repository. You'll find them organized in categories, like calendars, playing cards back, distro and non-distro specific pictures, and more. As a side note, most of the cool images are in the 'non-distro' folder 😉. The website also mentions a command, as well as a script you can use to convert any image to a wallpaper for your screen resolution. Those who want to support the author can purchase a shirt or hoodie with one of the prints available on the website.